The Vauxhall Zafira Tourer is a seven-seat MPV that rivals cars like the Ford S-Max, Renault Grand Scenic and Citroen Grand C4 Picasso. 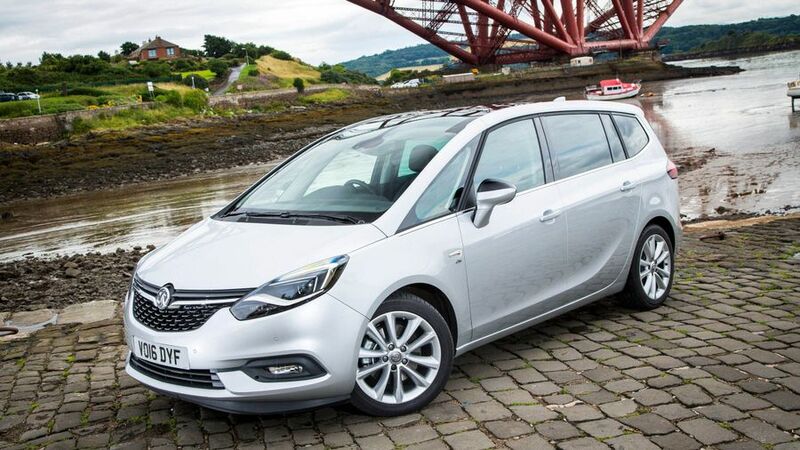 The Zafira Tourer is a capable seven-seat MPV, albeit one that’s showing its age despite a 2016 refresh in its design. It’s not as accomplished as any of its main rivals, but it is considerably cheaper, making this an attractive proposition if you’re watching the pennies and need seven seats. An official combined fuel economy of 62.8mpg. Plenty of kit and grunt without breaking the bank. Even the entry-level model is well equipped. Interested in buying a Vauxhall Zafira Tourer? 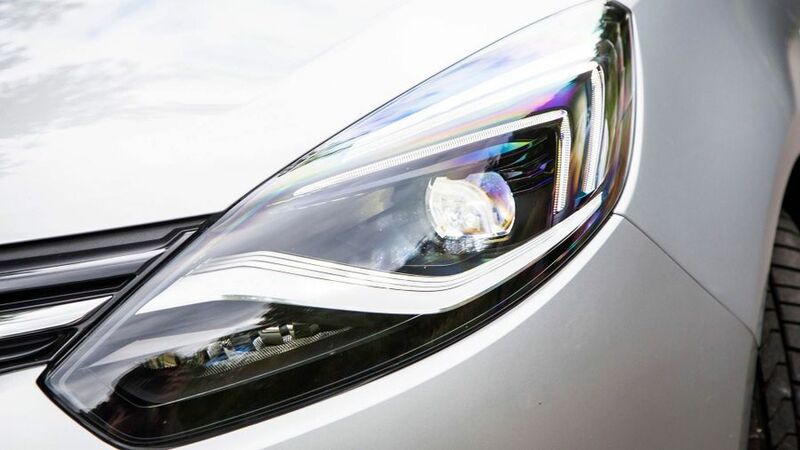 Although it first appeared in 2011, the Zafira Tourer was given a visual update in 2016 with more contemporary headlight and grille designs. All models get alloy wheels, starting at 17-inches on the entry-level Design, while the Energy trim adds chrome window surrounds, and the SRi and Elite models gets 18-inch wheels. Most paint colours are chargeable options, while a VXR styling pack adds a sporty bodykit. The SRi model has a sportier look with a roof-mounted spoiler. 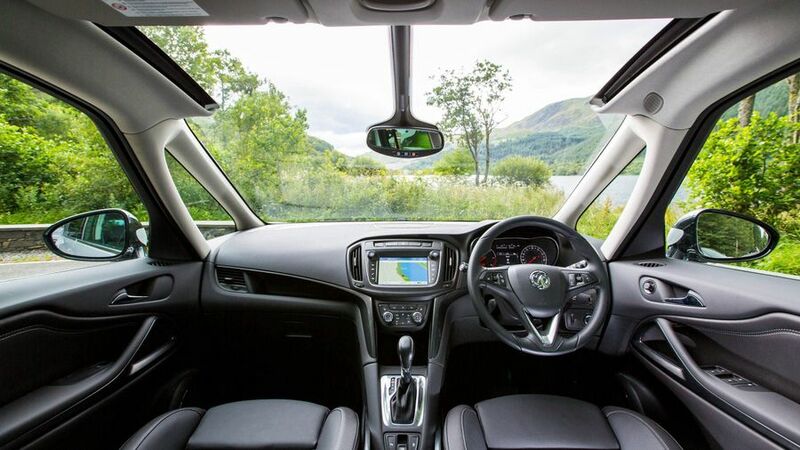 The Zafira driver sits over a vast dashboard which gives a commanding feel. Visibility is good, thanks in part to split pillars at the front to alleviate blind spots. The seating position has plenty of adjustability, but the interior feels dated by modern standards, with some hard plastics that don’t feel particularly solidly put together. There are some nice touches though, including an aluminium rail system between the front seats that houses three movable storage areas. All cars come with a 7.0-inch touch-screen infotainment system called R4.0 Intellilink, although our test car had an optional system called Navi 950 Intellilink that includes satellite navigation. We found it relatively straightforward to use the system, but want to spend more time with it to give a definitive verdict. Vauxhall calls its seating system Flex7, which is a posh way of saying it has seven seats, and they can move backwards and forwards individually. The second and third rows can be folded down, giving you plenty of configurations to transport luggage of different sizes. Keep all the seats up and you’ll get three adults in the second row without any trouble, but the two rear seats are really for kids only. SE, TechLine and Elite trim levels also feature a ‘Lounge’ configuration, which turns the middle seat into a large armrest and sees the outer middle seats move backwards and inwards. The result is a four-seater with limo-like rear space. 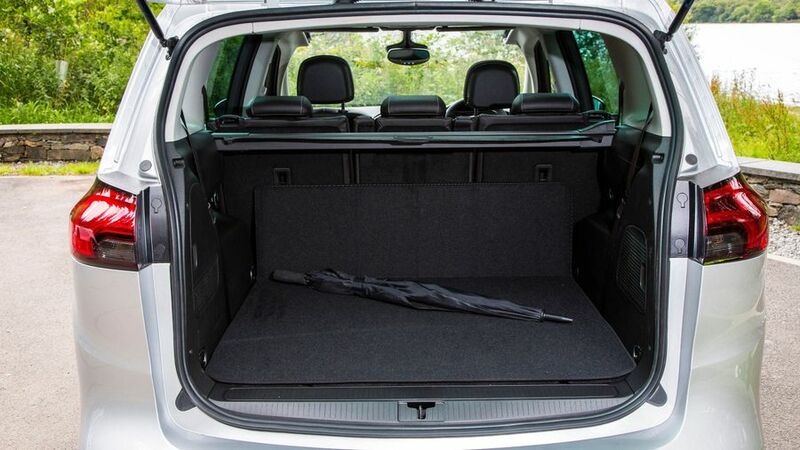 With all rear seats folded there’s 1,860 litres of space – almost exactly the same as a Volkswagen Touran – shrinking to 710 litres with five seats in place. In comparison, the Ford S-Max has up to 2,020 litres, and the Volkswagen Sharan 2,297. There’s plenty of storage space up front, including a useful cubbyhole under the centre console. In SE models and above, movable modules between the front seats include a storage box under the armrest, cupholders, and a further space underneath with a sliding cover. 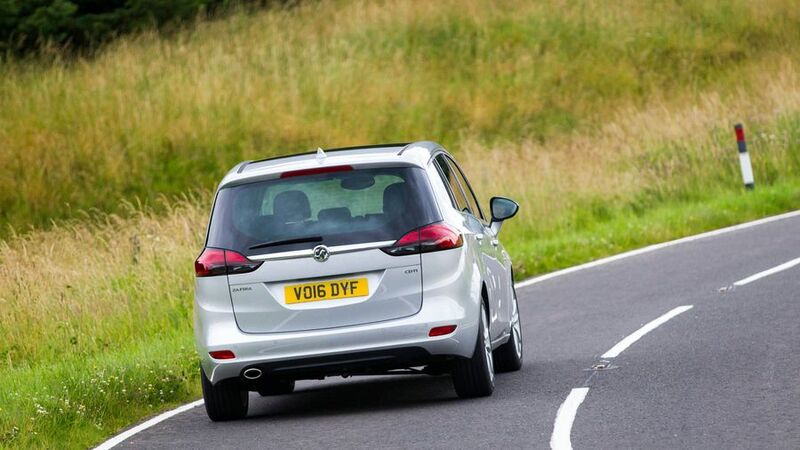 The Zafira Tourer is designed for comfort and practicality rather than any kind of zippy handling, and it proves comfortable around town and on the motorway, and stays flat and composed during cornering. It’s not the cushiest of rides available in its class, but it’s more than adequate and, again, it’s considerably cheaper than its rivals. If you’re looking for driving enjoyment, the Vauxhall isn’t a patch on the S-Max, but in other areas it compares well to other seven-seat MPVs. 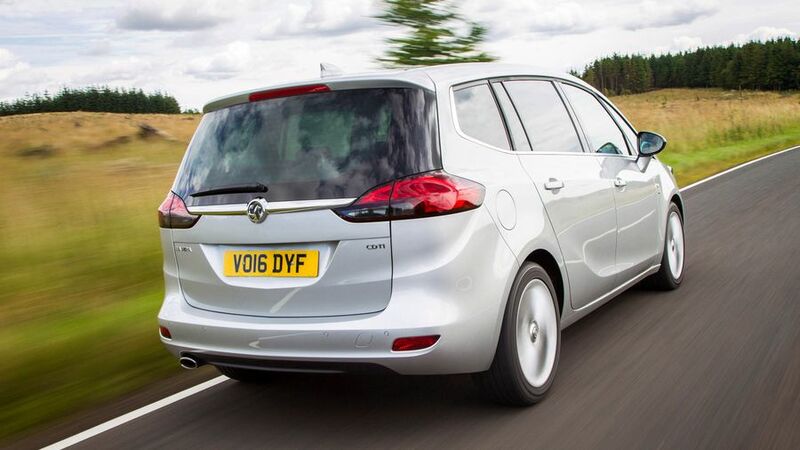 Vauxhall offers a petrol engine and two diesels with the Zafira. We’ve only tried the 1.6-litre diesel, with 134PS, and while a 2.0-litre version is available, we can’t really imagine you’ll need much more performance than the smaller unit provides. It’s not the quietest diesel engine on the market, but it’s not too loud and pulls well. However, this engine comes only with a manual gearbox that lacks quality, and feels imprecise. The 1.4-litre petrol engine, with 140PS, comes with the option of an automatic gearbox, as does the larger diesel. The Zafira Tourer’s key selling point is its price. Compare it to seven-seat MPV rivals and the Vauxhall is cheaper to buy than the Ford S-Max, Seat Alhambra, Volkswagen Touran and Sharan, but pricier for most equivalent models than the Kia Carens and Citroen C4 Grand Picasso. Factor in running costs like fuel economy, depreciation, and servicing and repair, and it’s still impressively cheap, although the Ford’s strong resale values mean the S-Max may be a cheaper option overall, depending on the model you choose. The Carens is strong in all areas, while the Zafira sits solidly alongside the Renault Grand Scenic and Citroen C4 Grand Picasso when it comes to overall costs. We don’t have reliability data for the Zafira Tourer specifically, but Vauxhall has a solid, if not stellar record as a brand. Warranty Direct’s Reliability Index places it mid-table among all manufacturers, but the JD Power UK Vehicle Dependability Study placed it seventh overall in 2017, with a score well above the industry average. 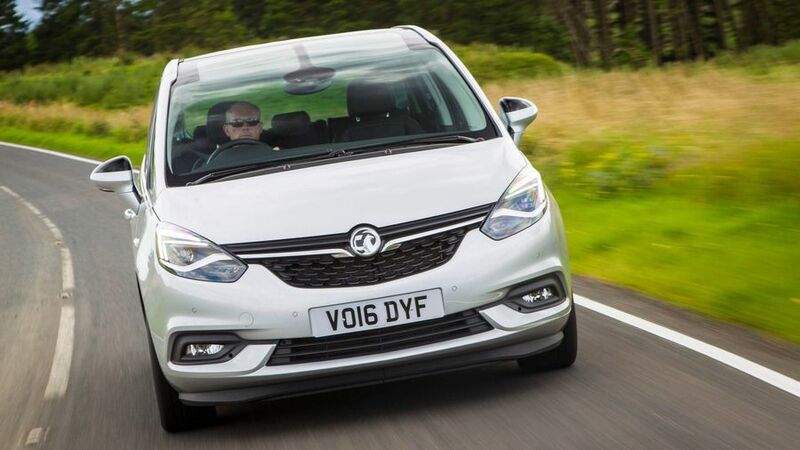 Should any problems develop with your Zafira Tourer, Vauxhall offers a three-year/60,000 mile warranty, which is the bare minimum you can expect from a mainstream manufacturer. The Zafira Tourer scored a maximum five stars when crash tested by safety organisation EuroNCAP, but that was back in 2011 and the tests are much more stringent now. All cars come with six airbags and two Isofix child seat mounting points on the second row of seats. Cruise control and a speed limiter are included on SRi models and above. While features like Automatic Cruise Control, Blind Spot Monitoring and Automatic Emergency Braking are available, they’re optional rather than standard, which is a shame. 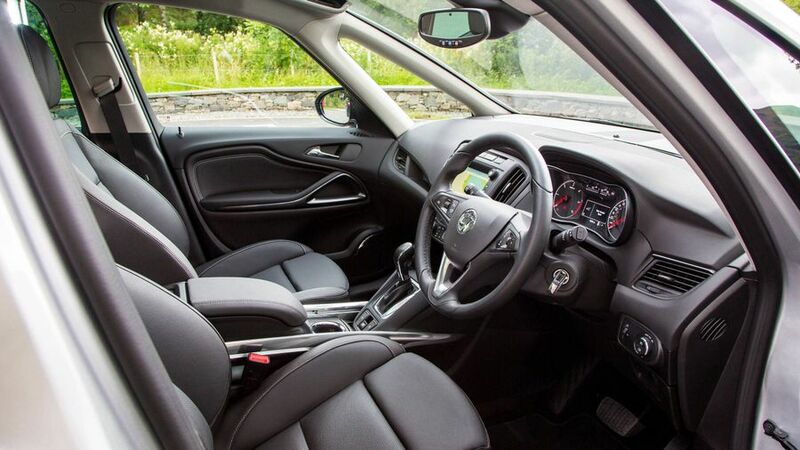 There’s a decent amount of kit included in the Zafira Tourer, with all versions getting an infotainment system with DAB and Bluetooth, as well as front and rear parking sensors, cruise control and a speed limiter. All models also get OnStar, which is Vauxhall’s in-vehicle concierge service. Using a button in the car, you can speak to an advisor about technical queries, and it’ll contact the emergency services automatically if you have a crash. 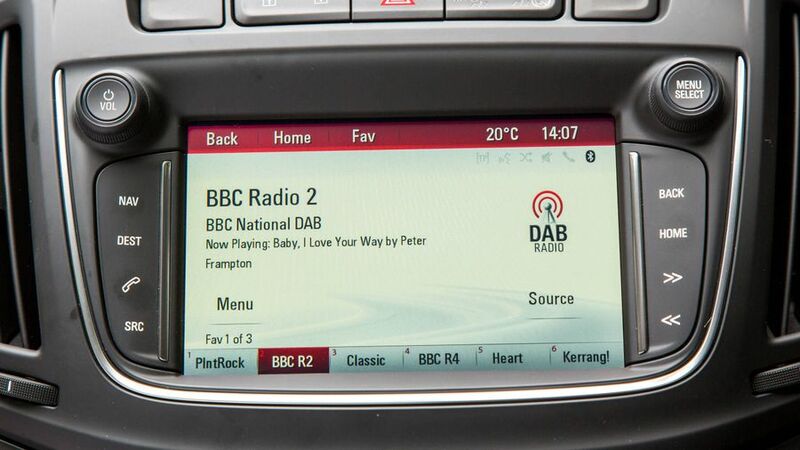 The Zafira also includes a wifi hotspot and connects to an app that gives you information about your car remotely. OnStar is free for the first 12 months, but requires a subscription fee after that. Energy models get sat-nav, while the SRi gets a revised steering wheel and electric front seats. SE models are fitted with an electronic parking brake and uprated climate control, while Elite models get leather upholstery and heated front seats, as well as a panoramic windscreen that extends into the roof for improved visibility. There are better and newer seven-seat MPVs than the Zafira Tourer, but there aren’t many that offer so much car and kit for the money. 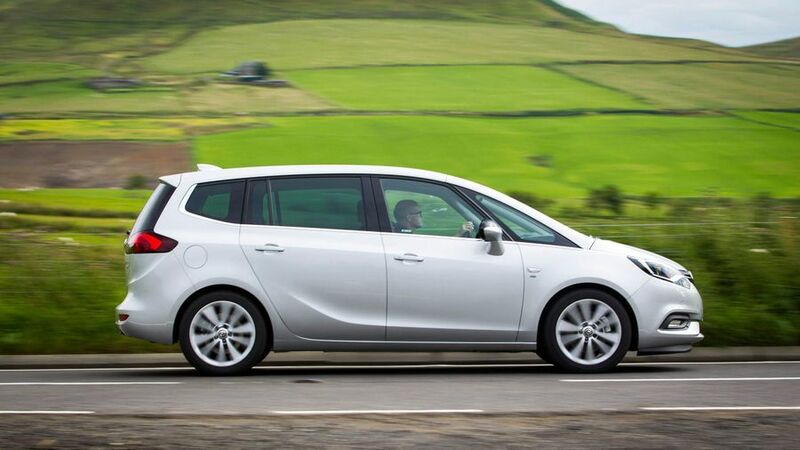 Only the Kia Carens can really compete on that front, so if you have a big family and are on a budget, the Zafira Tourer is worth checking out.